It is always a interesting to compare and contrast the differing views of students on key questions. When the debate can be reduced to an either/or option (e.g. ‘success or failure?’, ‘hero or villain?’) this can be done most simply by students organising themselves along a continuum line. 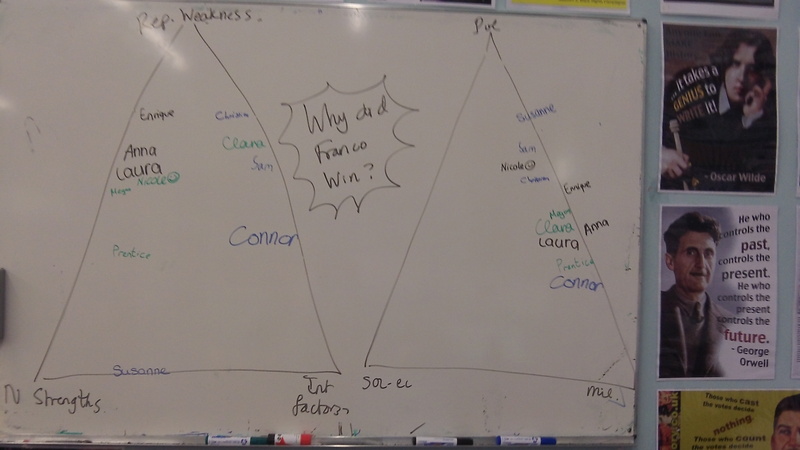 In the example above (“Why did Franco win the Spanish Civil War?”), students wrote their initials in two separate triangles. The first reflects the relative importance of Nationalist Strengths, Republican Weaknesses and International Factors; the second covers Military, Socio-Economic and Political Factors. The method is a simple one but provides a visual snapshot of what students are thinking and which students in particular are most in disagreement. 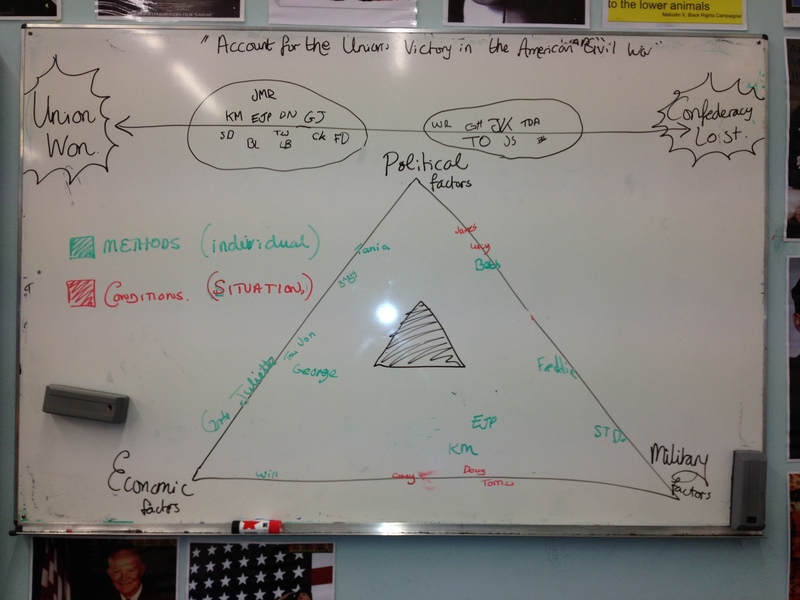 Get students who are most clearly in disagreement to explain their choices to the class. Allow other members of the class to adjust their position in the triangle based on what they hear.